Buying a home is a complicated process, particularly for first time buyers. You need to have your down payment and obtain suitable mortgage financing to pay for it. But did you know you also have to pay for closing costs? Following are the items that are considered closing costs, which you’ll need to have “extra” cash to pay for at the time your purchase transaction completes. It’s a good idea to have a qualified home inspector check out the property. They’ll note any deficiencies or items that may need repair so you can make an informed decision about whether or not to proceed with the purchase and if you might want the seller to contribute to the cost of any major item. Home inspection fees run from a few hundred dollars and up depending on the property. Before you agree to use the Inspector, make sure you know how much the inspection will cost so there’s no surprise after the fact. If you are obtaining a high ratio mortgage because you have a down payment of less than 20%, you must have mortgage insurance to insure the lender against default on the mortgage. CMHC is one of the primary mortgage default insurance providers and this can usually be added to the mortgage itself and doesn’t require a cash outlay from you. Costs, requirements and options should be obtained from your Mortgage Professional. This is calculated based on the purchase price of the home and must be paid on closing to the Government of BC. The tax is levied at 1% of the first $200,000, 2% on the amount over $200,000 to $2 million, and 3% on anything over $2 million. For example, if you buy a home for $450,000, you would pay $2,000 on the first $200,000 plus $5,000 on the $250,000 balance, for a total of $7,000. There may be additional costs for Non-Resident buyers in the Greater Lower Mainland area. Exact costs should be confirmed with the Lawyer or Notary Public you choose to act on your behalf to finalize your purchase. To have a solicitor/notary handle the purchase will usually cost around $1,000, or maybe more. They will handle the mortgage paperwork with your bank, deal with the sellers’ lawyer regarding the transfer, and register your ownership with the Land Title’s Office. Speak to your lawyer/notary ahead of time to find out what they charge – it’s money well spent! The property taxes will need to be paid for the portion of the year you will have ownership of the property, either to the seller (if they’ve already paid for the year) or to the taxing authority. This is usually handled in the Statement of Adjustments your lawyer/notary prepares, so ask them how they will handle this in your specific case. Closing costs can add up before you know it, so make sure you have cash on hand to pay for them. 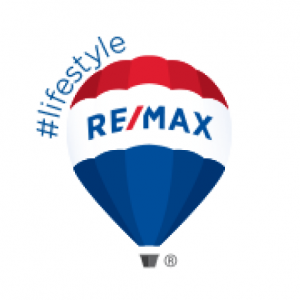 At RE/MAX Camosun, we have expert real estate agents ready to help you with your purchase. Call us at (250) 744-3301. In a recent poll more than 40% of Metro Vancouver residents said they’re planning on buying a rental investment as a retirement strategy. All indications are that those figures are similar in the Greater Victoria Region. Are you considering buying your second home as an investment, or your retirement home? Buying another home in addition to your family home is second stage buying.